Homicides and shootings have doubled in Chicago so far this year compared with the same period in 2015, and police have seized fewer illegal guns -- more possible signals that officers have become less aggressive in the aftermath of a shooting video released last fall, and a controversial form which many officers say amounts to snooping by the American Civil Liberties Union. 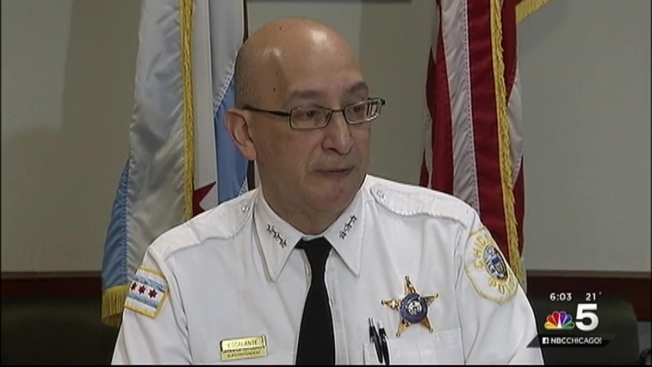 Interim Police Superintendent John Escalante said Tuesday that he was so concerned about officers possibly holding back that he filmed a video for the entire department in which he encouraged them to do their jobs and assured them that a federal probe of the force was not aimed at individuals. The new crime numbers come almost exactly three months after the city on the orders of a judge released the video of officer Jason Van Dyke firing 16 shots at Laquan McDonald, a black teen killed in 2014. Since that day, Van Dyke has been charged with murder, and Superintendent Garry McCarthy has been fired. The Department of Justice launched a civil rights probe of the police force, and Mayor Rahm Emanuel has sought to regain public trust in the department and his own leadership. The crime figures offer a stark reminder that the nation's third largest-city is nowhere near shedding its reputation as a dangerous hotbed of street violence. In the first two months of the year, authorities recorded 95 homicides, compared with 48 for the same period last year. Thus far, there have been 406 shootings, or more than twice as many as the 180 for the same two-month period in 2015. Officers on the street are now required to fill out a two page form following every street stop, noting details including the subject’s race and the officer’s name. Officers have bristled at that process, and coupled with the McDonald case’s negative publicity, there has been open speculation that officers fearful of attracting negative attention, may be pulling back and becoming more passive. Quietly, officers say they are not going to take chances that might land them in legal trouble or threaten their jobs and pensions. At St. Sabina’s Church on Chicago’s south side, Father Michael Pfleger said he found even talk of such a slowdown unacceptable. Suggestions of officers slowing down on the job started with an 80 percent decrease in the number of street stops that the officers have made since the first of the year. Escalante has previously agreed that decrease could have been largely tied to the fact that since the first of the year, officers have been required to fill out the lengthy forms, negotiated in a settlement with the ACLU. Newer, more streamlined forms went into use Tuesday, and Escalante said he hoped that will help alleviate some of the angst on the street. He pointedly noted that stops are already back up, increasing by 25% over the last two weeks. The unwillingness to make as many stops as they once did might also explain the steep decline in gun seizures. Normally, the number of illegal guns recovered by police would climb with the number of homicides and shooting incidents, but the opposite has happened. So far this year, the total number of illegal guns seized by the department has fallen from 955 in the first two months of last year to 829 so far this year. But just as stops have increased, Escalante said some of the crime numbers looked favorable as well. Gun arrests are up by 33% over the last 28 days; murder arrests were up by 5%. Still, Pfleger argues he sees no sense of urgency on the part of the city, even as the violence has escalated in neighborhoods like his. For his part, Escalante said he is convinced even officers rankled by the backlash of the McDonald video have gotten on board.